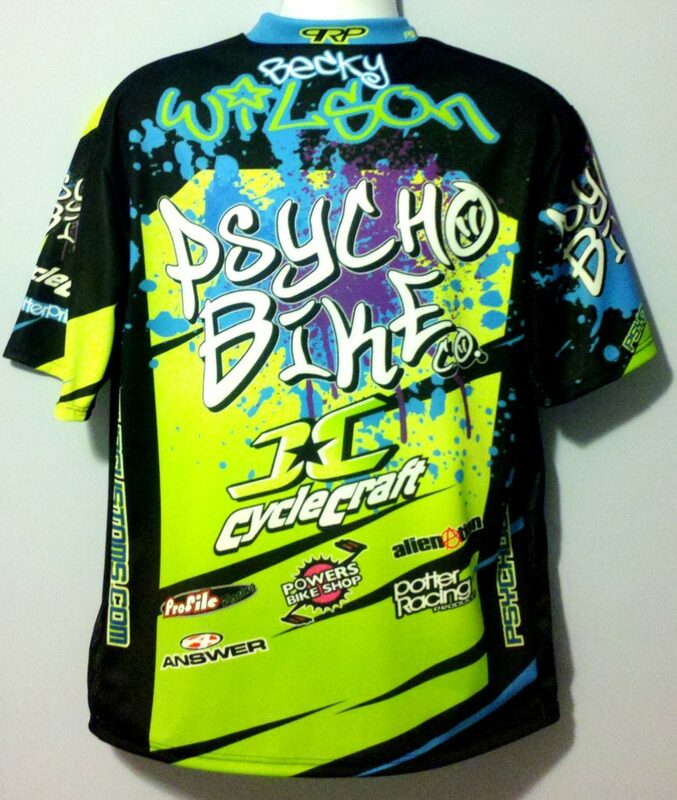 We are full custom BMX racing and accessory manufacture based in the USA! located in Atlanta Georgia, our products are 100% hand made of the finest materials under one roof. In house designing and manufacture results in faster lead times, and fewer hassles. It doesn’t matter the size of the order, we treat all our customers with the same professional experience. We own every computer/printer/machine to produce these products. 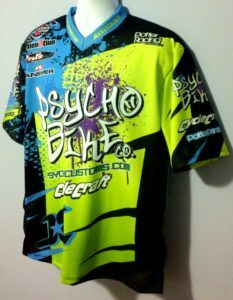 We ARE a fully custom apparel company with No middle men here.. just BMXers providing BMX race gear! What we need from you to complete your order as quickly as possible. Please have the following things together before calling us. Your color preferences. If you have race pants and helmet already we will need that information. Once we have received all the needed information we can start the design process. You will have to proof all jersey names & numbers. Our jerseys are made with 5-7 oz moisture wicking, anti-microbial polyester. 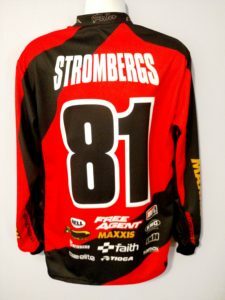 We can match the color scheme from your number plate, pants, helmet, or do something totally different. Our typical jersey incorporates an insert of poly mesh from wrist to waist for perfect ventilation while riding. add $4 per for 2X and larger. are typically just above the elbows. 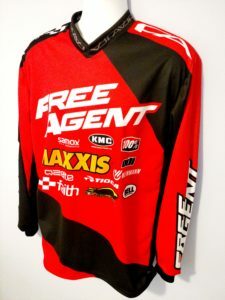 For the complete custom experience, email all your info- logos/colors/things you are trying to match to such as helmet/pants/gloves-A preferred deadline if its possible. doug @ potterplates.com or use the contact link at the top of the page and we’ll contact you as soon as possible. Turn around differs based on the BMX race season starting in Jan and deadlines are based on the race they are required. It is normal for us to fill orders the same week as the events with having a national every weekend or so. Some deadlines can be moved forward if a slot becomes available. Depending on artwork requirements/quantities your garments could leave as soon as 1-3 days. Its not a surprise to see an order leave same day here. Stock items are still produced as needed, so turn around could be 7-10 days depending on the season. If the Artwork is being provided by an outside designer it has to be in our template, and has to be paid, and approved by all parties prior to the week before the event at minimum. Having a paid order without artwork will still miss a production deadline. Orders need to be submitted no less than 10 days before an event not including weekends. During the busy season it still may be too close. We are not responsible for mistakes if you use the RUSH option. When you rush, things happen.